As the student loan bubble continues to burst, record numbers of Americans enrolling in government subsidized student loan debt-forgiveness plans, known as income-driven repayment, are on track to send the US student-loan program into negative territory, according to a report by the Department of Education's inspector general. The plans, known as income-driven repayment, set monthly payments as a percentage of a borrower’s earnings and typically forgive balances after 10 or 25 years, depending on the borrower’s career field and debt amounts. 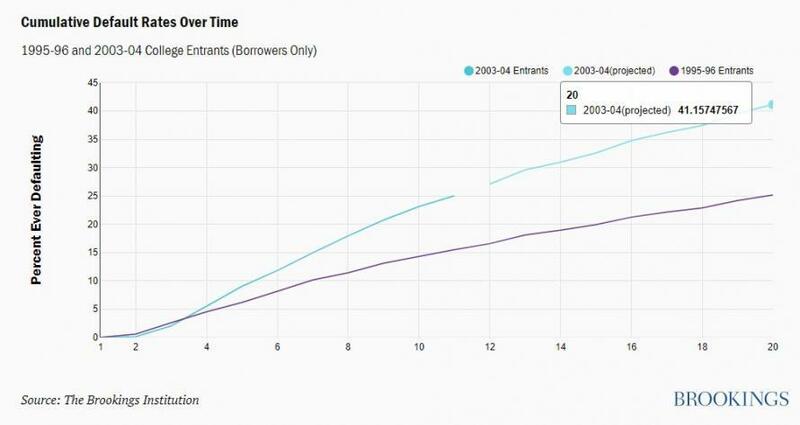 As we reported last month, nearly 40% of student loans taken out in 2004 may default by 2023 according to a report by the Brookings Institute - blowing past all previous projections. 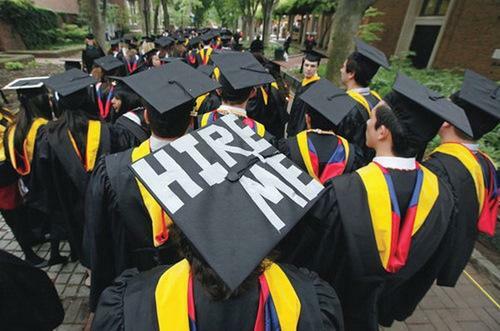 Of note, approximately 5% of undergraduates took out private student loans in 2004, which swelled to 14% of undergraduates by 2008 - 2,901,000 students according to ticas.org. Private student loans, as opposed to federal student loans, are unable to participate in income-driven government repayment programs. The federal student loan system had originally been projected to turn a profit of $25 billion on all loans made up to Sept. 30, 2015 - however that number has been revised down to $5 billion, according to the IG report. The income-driven repayment program alone will cost the government $11.5 billion in revenue. “The data show the total costs for all loans...approaching an overall positive subsidy,” which translates to a net cost to taxpayers, i.e. the program going into the red - according Patrick Howard, the department’s assistant inspector general for audit. The IG report was highly critical of the Department of Education for a glaring lack of transparency over the student loan program - which has grown to one of America's largest consumer loan portfolios. A cumulative $1.4 trillion in federal student debt is owed by 43 million Americans - which is unable to be discharged in bankruptcy. As such, the debt forgiveness program is the only hope if the six-figure job borrowers were promised before taking out a six-figure loan didn't materialize. Republicans in Congress have criticized the debt forgiveness plan created by the Obama administration, as they say the plans are being taken advantage of on a large scale. The Department of Education has committed to providing more transparency going forward, stating in the report that it is "committed to the transparent communication of the Federal student loan program costs, including describing trends in repayment options that may impact future estimated costs." 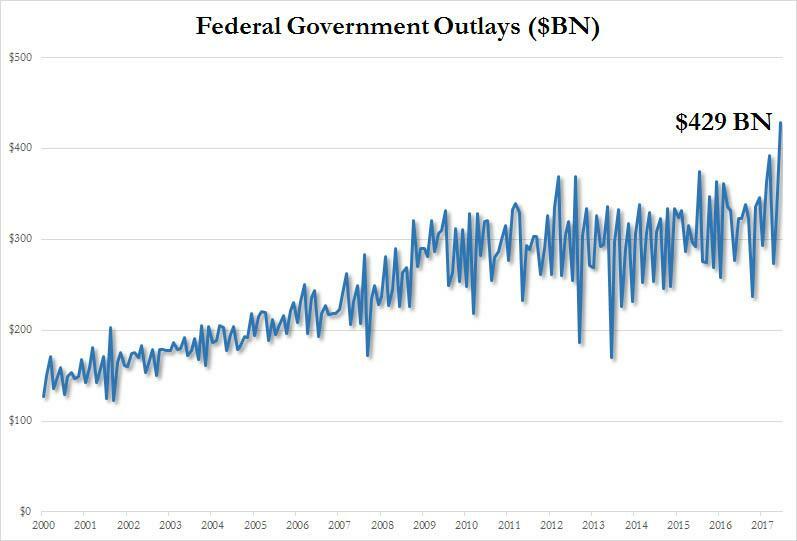 As we reported last July, the US saw its largest one-month outlay on record at $429 billion, 33% higher than its July 2016 outlay - because the Treasury revised up its estimates of the subsidy cost of student loans, and to a lesser extent housing, it guarantees. While the federal student loan debacle is going to fall on the shoulders of US taxpayers, it will be interesting to see how private lenders - such as Wells Fargo, adapt to 40% of their 2004 loans defaulting within the next five years.